AutoFill will not schedule any helper over their set maximum hours per day or week. 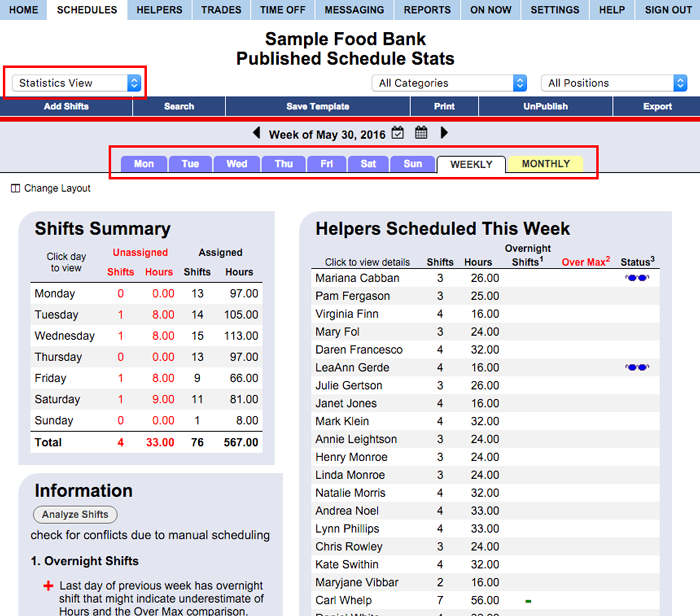 You can see helper total hours scheduled for the week on the By Helper and the Statistics Weekly schedule views. On the Statistics schedule view, you can see the "Hours Over Max" for each helper in red if they are over their maximum per week. You can choose to view Statistics for a Day, Week, or Month (monthly view also allows you to set a target maximum hour per month).